For designers, it’s always a joy to work with clients who entrust them with their ideas and expertise. Interior designer Carlo Mecate experienced just that when he worked on this client’s condo unit. The homeowner, who happens to be a lawyer, shares this 32sqm one-bedroom unit with her entrepreneur husband. Strategically located near the homeowner’s office and commercial establishments in Pasay, the unit was transformed into an “eclectic meets Moroccan” haven for two. 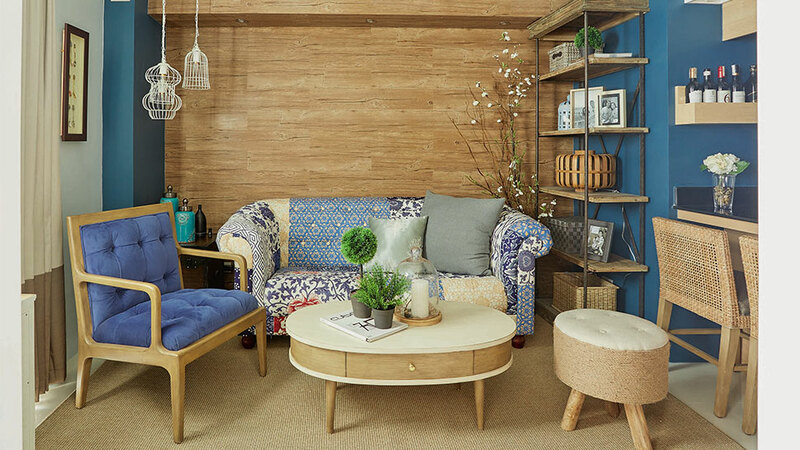 The designer based the aesthetics on the bespoke patchwork sofa found in the living room. From there, he was able to come up with tasteful design decisions for the other areas of the home. Inspired by this well-designed, compact space? The designer suggests planning ahead, taking note of measurements, and choosing regular-sized furniture to create the illusion of more space in a small area. See how all these were applied in this relaxing abode for two in the photos below. Read the original article ("Just Right") in the May 2016 issue of Real Living Magazine. Download your digital copy of Real Living on the Real Living App. Log on to summitnewsstand.com.ph/real-living for more details.